02) What Ya Know About? 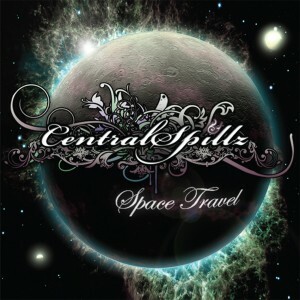 Space Travel is the debut album from Central Spillz, the Bristol-based collective comprised of producer Superisk and five of the finest vocalists/MCs that the notoriously bass-obsessed city has to offer. Well-known for their frenetic yet faultless live shows, Space Travel sees Central Spillz transfer their talents from the stage to the studio, to forge a unique record that combines the lyrical depth of hip-hop with the bass-heavy beats of UK underground music such as dubstep, grime, D&B and funky. L-Vis 1990 and Redlight respectively, and it’s their heartfelt vocal hooks that add the killer dimension to Space Travel. Redskin’s soul-scrunching performance on ‘I Wish’ and Shadz’s silky-smooth, velveted vocals on ‘Monday’, show off astonishing raw talents. Elsewhere, it’s left to Spillz’s other members to really shine over Superisk’s deep, melodic and bass-rich productions. Koast, C-Strike-Z and Mackie Skillz each bring their own distinct personalities and styles to their flows; from the wild-eyed mania of ‘Central Eyes’ to the dark reflection of ‘What’s Your Demon’ and the rave-mode hype of ‘What You Know About’, their flows are consistently insightful and faultlessly delivered. Superisk’s production skills are shown at their rawest and most intriguing on tracks such as ‘Find Your Way’ and title track ‘Space Travel’. Twinkling melodies, dense atmospherics and strident string lines temper abrasive, rugged bass and beats to fuse a unique and unmistakable sound that acts as a perfect platform for the variant voices of Spillz’s vocalists. In all, 14 tracks make up Space Travel, including the Guido-produced and Hollie G featuring ‘Central’ and a blistering live recording of Spillz and Interface’s take on Busy Signal’s ‘Unknown Number’. 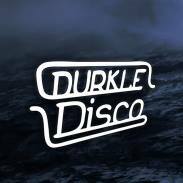 January will see the release of a remix 12-inch, featuring re-workings by Eddie K’s and Mensah of ‘I Wish’ and ‘What You Know About’ respectively, which have been supported by the likes of Skream, Bar9, MRK 1 and Doctor P.
With many more projects and a whole heap of live shows and festival performances already lined up for next year, ‘Space Travel’ signals the arrival of six exciting talents combined into one frightening force.